We all love jeans, whether flared or skinny ones; accordingly. Get some tips here to flaunt your jeans rather than ditching it. Style your skinny jeans with a tank top and statement jacket. 2. Leather boots can go really well with the correct accessories, try with simple jeans and top to rock it. If you are okay to try something different then go with a kurti and rugged jeans. 3. Jeans and a lace top: If its winter season, try your lace top on the sweater that makes sense. Try with a headband or some other funky accessories. 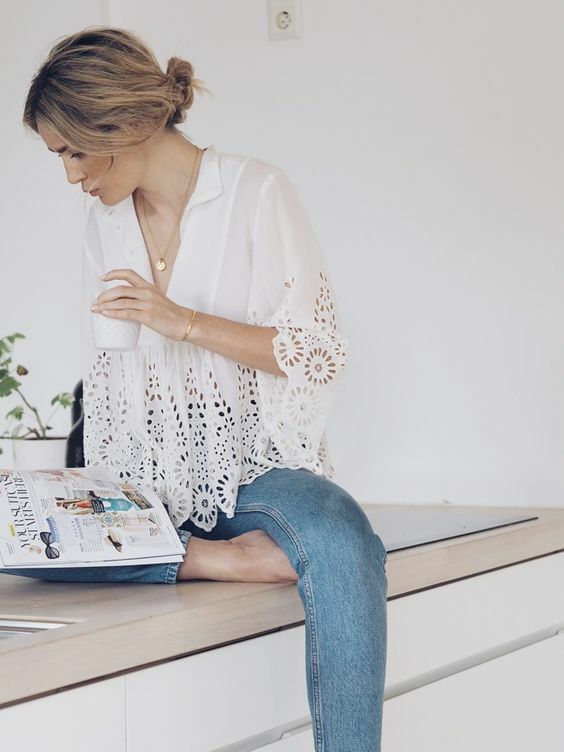 Wearing a typical lace top and jeans with your most comfortable shoes or heels or may be any footwear can style you up. 4. Ripped jeans with a crop top and heels. 5. Loose/ Boyfriend T shirt with ripped jeans for an evening. Next articleWhy one should be Fond on Travelling?